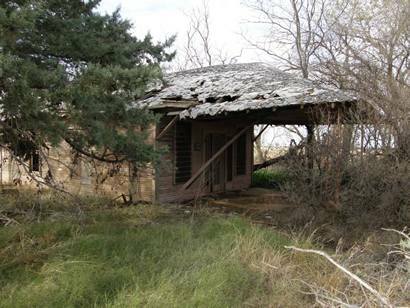 The town itself began with the splitting up of the OX Ranch in 1906. One of the buyers was W. B. Dunlap, who became the namesake of the nearly non-existent town. A post office opened in 1908 and a cotton gin was built some time later. From a 1915 population of 100, by 1940 it had increased to only 113. The bottom dropped out for the 1980 census when just 30 residents were enumerated. The community had its own school until the Great Depression when students started attending schools in Paducah. The population was still given as 30 in 1990 but fell to 10 for the 2000 count.